That can be anything to do with clocks, special age, birthdays, anniversary, random numbers whatever you like really with numbers. Now…you might think that is an awfully looong street with this number on the door? Probably the longest street in the world! A little while ago I received a lovely surprise package from Shirley with door stamps in it (thanks so much Shirley). This was the perfect opportunity to use them. The background was some scrap card from some experimenting with alcohol inks. It had a gorgeous streaky effect. A wood grain stamp over the top of it gave it some character ~ and then the stamps did the rest. I think it looks kind of real. The girls at FSC have come up with some inspiring and very different versions on the same theme. be inspired, and maybe join in our fun. there are spotlights and a top 3 picked by the DT as well. Stamping must be the focal point on your project! 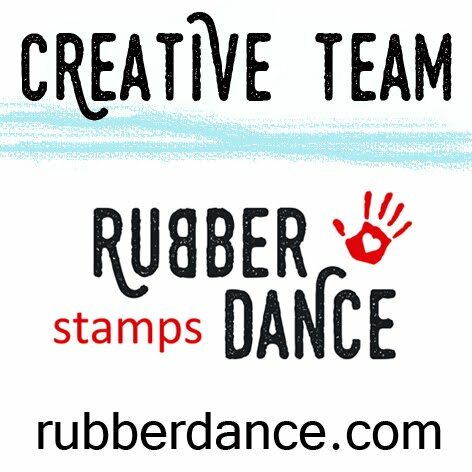 Just a reminder that I am a stockist of Visible Image, Rubber Dance and Stampendous stamps in Australia. …so, exciting times ahead. Details are on my sidebar, along with my e-mail addy for any enquiries. 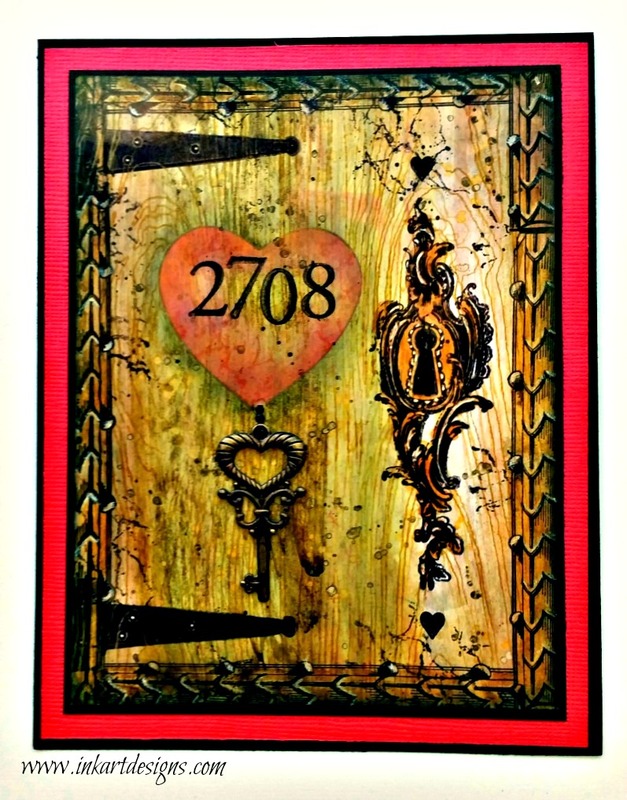 A fabulous card Dot, the woodgrain background looks so real with the door hardware stamped onto it. Love the red heart and key. Wow Dot, this is beautiful, great designed. Yes the door looks so real. What a great take on the theme Dot, a door would never have occurred to me but it's absolutely perfect. It's just a number indeed but with you it is transformed into a piece of artwork that looks divine. Love this to bits hunny.